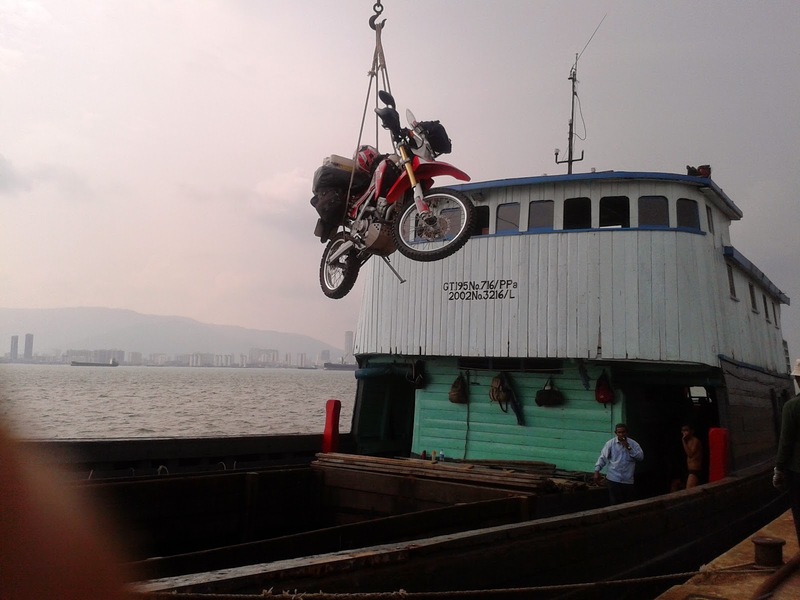 Shipping is certainly not the most fun part of travelling with your motorbike! 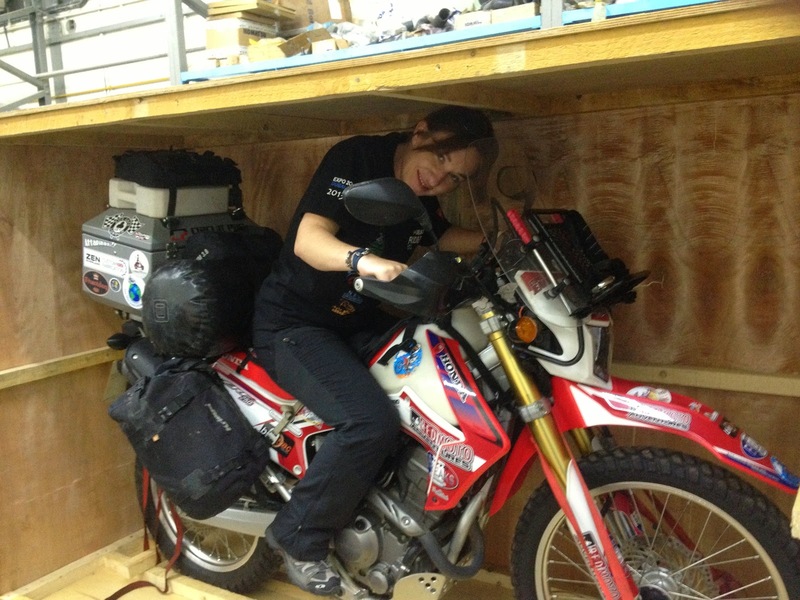 However, at some stage if you want to ride around the world, you are going to have to face it at least a couple of times! Gathering the information can be time consuming and frustrating! Here are my experiences on Motorcycle shipping to date. To make things easier I stayed in touch with a company in the UK called MotoFreight. Roddy has a lot of contacts around the world and has been a great source of information. He has also been very supportive and I can't recommend him highly enough. This did not include crating and I left the bike with wheels and bars in place so this could have been cheaper if I had made the crate smaller. I crated the bike myself but some companies will do this for you at a cost. Customs charges in India came to a total of 27,000 indian rupees (roughly £275). This included a charge for road tax which had to be purchased before they would release the bike. 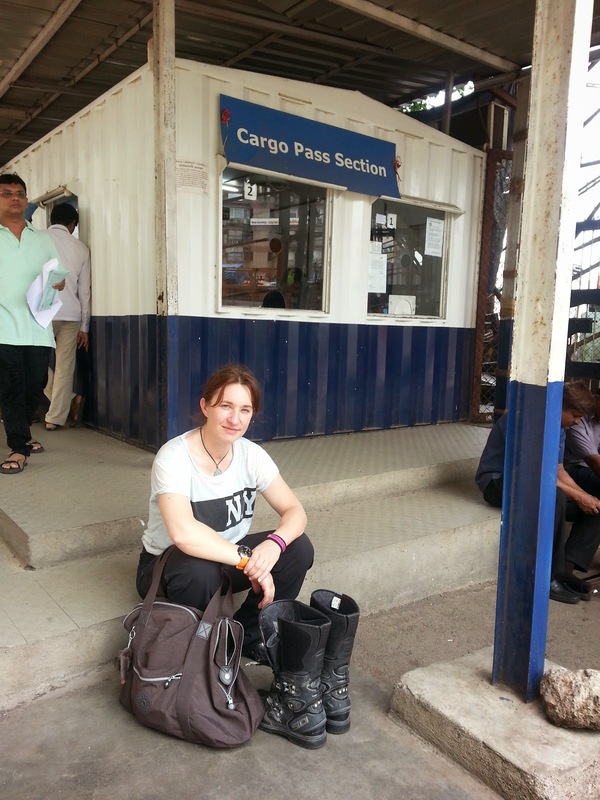 Indian customs takes time and patience. Although I got my bike out in record time (1 day), it normally takes around 3 days. It did however take me 3 days to locate my bike as it had not been shipped directly to Mumbai as planned. Instead it was flown to 3 different locations before catching up with me. This was down to Air India and not the agencies used. I have heard other stories like this so be warned! These guys were very helpful and quick with information. This price included crating. This time I decided to leave the front wheel on as I dont have a centre stand and I didn't know what help I would get on the other end, but I did take the bars off to make the crate narrower. The initial charges quoted were in the region of £350 so please question everything and everyone when it comes to Thai customs and agents. I used the famous Mr Lim to ship from Penang to Medan. bike goes on an onion boat (wooden cargo ship) and I had no problems at either end. I used PT Green Air Pacific for shipping from Bali and I would highly recommend that you DO NOT USE THIS AGENT! They failed to tell me several things which resulted in the price being trippled. Eventually we came to an agreement and the price was brought down but they said they had to take the front wheel off and repackage. I was happy with this and made it clear that they should not touch anything else on the bike. When the bike was uncrated at the other end I found the back wheel, spark plug, battery and bars had been removed despite them agreeing nothing else would be touched. Clearly they wanted to make as much profit out of the new size price and so made it as small as possible. I also found the forks had been loosened. Luckily this was spotted before I tried to ride away. Luckily I had a trailer to take it away and work on it and luckily I went to do an oil change before I started the engine because they had taken the oil out as well and not told me!!!!! I was not happy with their service at all. If they had kept me informed rather than trying to hide things I would have been satisfied. Total eventual cost of shipping was $1,699.20 (USD) (roughly £1085) - Half what the price had gone up to. They were a great help and Matt was very quick to reply to emails with useful information. The Quarantine inspection was completed within 2 days and cleared very quickly. My appoinment was at 10am and I was out by 11.30am with the bike. Great blog and very interesting shipping details. I'm hoping to go to Oz in the spring and have been thinking about the Iran-Dubai-India or Kathmandu route. Did you have to use a guide through Iran? I hear it's necessary and expensive now. How difficult were these Iranian and UAE visas to get? Hi Graham. Sorry for the delay in replying. I got my visa just in time so I didnt need a guide but you do now and yes it is quite expensive. You are best teaming up with someone and even then you will have to rush it a little unless you are loaded!!! UAE visa on arrival and Iran I got through an agency. They did most of the work to be fair! Thank you Steph, you are so nice to share this very, very valuable information for future riders. It takes time to write all this up, so we really appreciate your efforts. Be safe and if you need anything, please let me know. My pleasure Madeline. I hope the info is helpful. I am an adventure blogger in iran and it's called Gerdali. I was hoping I could do a short interview with you via email since you can inspire many many young people in my country who wish to travel the world and pursue their dreams. I could not find your email anywhere around here, so if you could just guise me here I will be thankful. Thanks for having such a beautiful and inspiring blog for us. "Indian customs takes patience." - That's an understatement! I'd say you'd be lucky to get out of there in three days, much less one. This is really great info though--not always easy to find something so accurate & in-depth about it. Cheers. hi thanks for the info any chance you know any shipping company who can ship my bike from Malaysia Penang to Germany ? You talk about shipping with motorcycle. I have read this post very carefully. I am very curious about motorcycle Equipment. I am waiting for your next post.